Onecollection – An Anarchistic Journey. 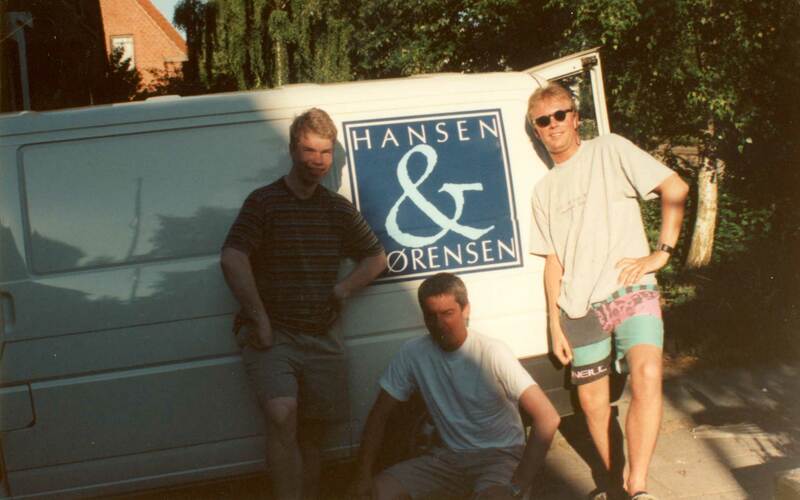 Onecollection, or Hansen and Sørensen as the company was originally called at its start in 1990, is based on conviction and personal relationships. The attitude is, and has always been, that in order to take in a project – whether it is a new chair or the full interior of a building – there has to be good vibes from the beginning. From a small outpost, practically as far west as you can get in Denmark, we have managed to make clients all around the globe believe in projects. The journey has not been without obstacles, but with passion and enthusiasm we keep convincing people – not least some very critical banks in the beginning – and this is still the main reason why Onecollection is thriving today. 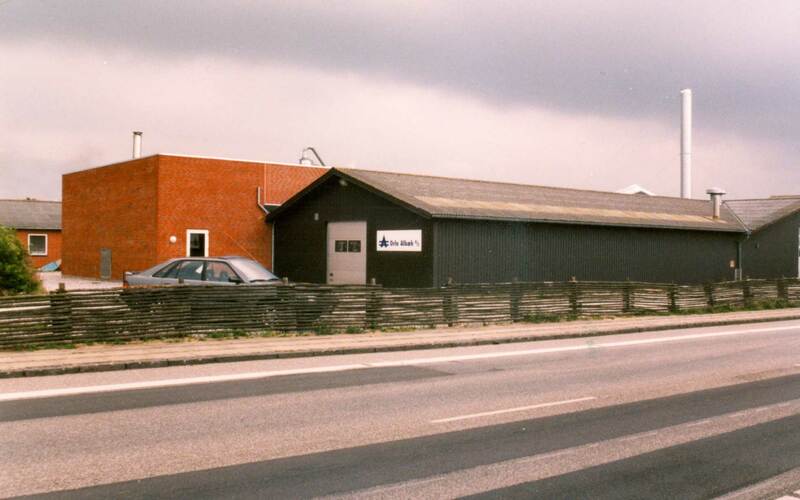 In 1990 the head office of the newly founded company was the laundry room in Henrik’s mother’s basement, furnished with only a desk and two chairs. The designer Søren Holst had designed a small series of furniture and a couple of candlesticks holders, which we loaded into a cheap van. The engine needed a couple of slaps with a spanner at a particular spot in order to start, but off went to cultivate our market. The following year we managed to move to a more appropriate office and at the same time, the old van was exchanged for a new one, which didn’t need slapping! The bigger van meant that we could not only travel a bit safer around the Danish highways but also take the collection to the growing export markets in Scandinavia and Northern Europe. Initially our business model was much simpler. We wanted to base the company on external production through different suppliers, in order to avoid having to finance expensive machines and staff. At the same time we agreed on an aggressive marketing strategy. The introduction of the new company took place at the Scandinavian Furniture Fair in May 1991, where we showcased furniture designed by Søren Holst – and as oddly as it may sounds – doorhandles – Just because they were pretty. The annual furniture fair in Bella Center Copenhagen, was something very special and the stands were always remarkable. But ours was always different. At the very first exhibition Ivan’ts dad, “Old Hansen”, knocked together a rustic black floor space with polished nails, which was subsequently scattered with sand. The following year, the stand was bigger but money was scarce. For this reason, the room was kept as it was, with raw concrete floor and white walls. At a local film company, we borrowed a couple of huge and very old spotlights and an old vacuum cleaner, which somebody for some reason thought might fit it. The look was finished off with a monstrosity of an American fridge, which was stocked to the limit with Budweiser beer, and then the party could begin! Although the enormous spotlights blinded most of the visitors, this stand is still remembered by many as one of the best in the history of our company. Perhaps this was the beginning of the new raw way of presenting furniture, or perhaps it was the informal and anarchistic atmosphere, that made the stand so memorable. Working with the New Designers in the 90ties. We decided early on that if an architect or a project didn’t appeal to us, the answer would have to be negative – even if the project on the surface seemed attractive. However, there are no rules without exceptions. This we experienced when a young designer – Henrik Tengler – contacted us. We already had a close relationship with another designer – Søren Holst – who designed for os and worked sort of like a mentor. Now suddenly, this new guy from north of Copenhagen came running with a design for a conference chair. The chemistry didn’t work, but Tengler was persistent and kept asking. His stubbornness and belief in his project earned respect with us and we finally agreed to produce the chair. The chair later on became our best selling piece of furniture with more than 50.000 sold to date. At a personal level, we gradually developed a good partnership and friendship with “the lad from the big city”, who still contributes significantly to the development of new furniture. Today, we still work with talented designers and continue to be part of exiting projects around the world. These projects include the UN Building in New York, Ny Carlsberg in Copenhagen, Sino Danish-Center in Beijing and many more. Take a look at our newest cases to read more about our work.